For Brendan Green and his wife Jill, owning 100% of a boat did not equate to a whole lot of fun. “Any pleasure we received from our time out on the boat was counterbalanced by the amount of maintenance our boat required. If we were taking friends out on our boat for the day, I’d have to turn up a couple of hours beforehand to get everything ready and then once we returned to the dock we’d still be cleaning up, refuelling and packing everything away long after our friends had left. It was only after Brendan and Jill discovered the SMART Boating system of yacht share that they changed their minds about boat ownership. “When we looked into the SMART Boating system we realised there was a way of owning a boat that didn’t involve hours of maintenance and cleaning. With SMART Boating’s syndicated ownership, we were still boat owners, but we were sharing the expenses with the other syndicate owners and only paying for the days we were using … rather than paying for the boat to sit at the marina. Brendan and Jill decided to become syndicate owners of Infinity, a Lagoon 39 Catamaran based in Pittwater, by ‘sharing a share’ with another family. 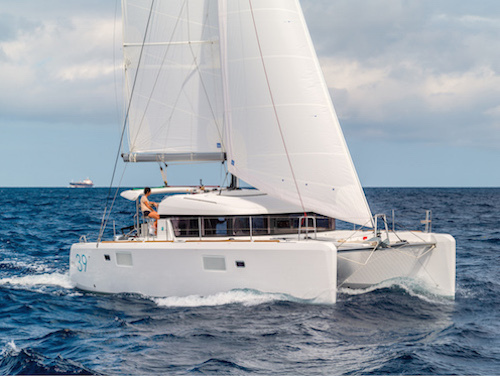 “The Lagoon 39 Catamaran costs more than $700,000 to buy new, but a mate and I decided to buy one share together, which was valued at $60,000. So by effectively ‘sharing a share’ we only chipped in $30,000 each for a $700,000 boat, and we will get about half of that back in five years when the syndicate ends and the boat sells! In addition, we also split the monthly maintenance fee. 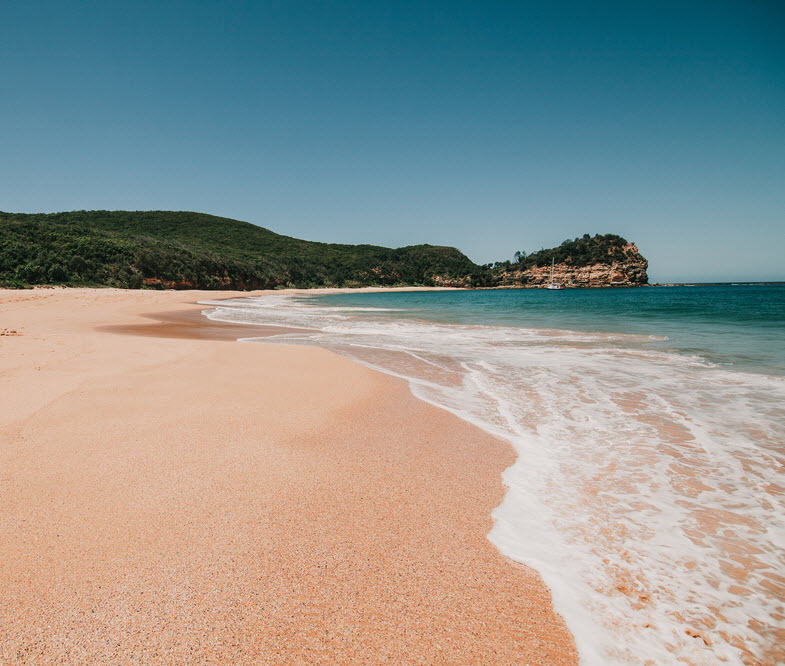 In return, we get to use the boat 34 days per year – and potentially even more because if the Lagoon is not being used we can book additional time on the boat without that day coming off our allocated usage. 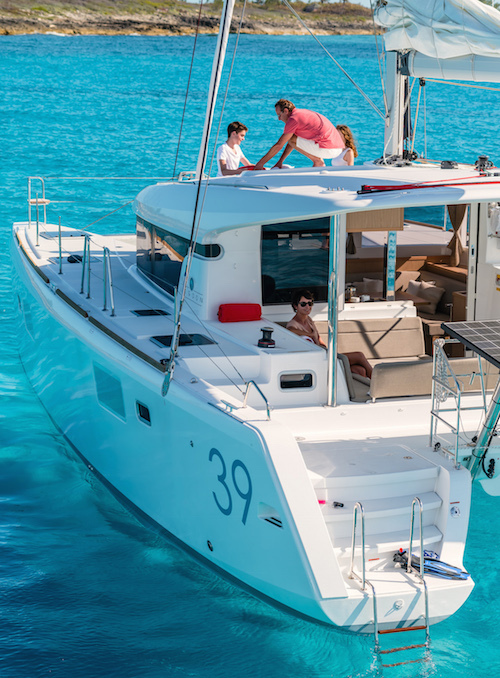 “As well as being a great way to bring our family together, I use the Lagoon 39 to entertain clients. Last month I hired a skipper and took some clients out on the boat for a day. Most of them had never been out on Pittwater before and we sailed across Broken Bay to Maitland Bay in Bouddi National Park. 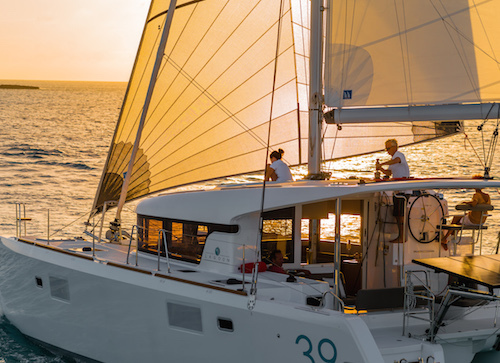 The cost of that entertaining was a fraction of what it would have cost me if I’d had to charter a boat, and my clients were absolutely blown away by the experience. “We have a busy work and family life and so even if I owned 100% of the boat I would still probably only use the boat an average of one and a half days a month! Because we only own 5% of the boat we just don’t feel guilty any more about not spending every weekend on the boat. We’re no longer paying for time we’re not able to use. Here’s what’s available now and launching soon!